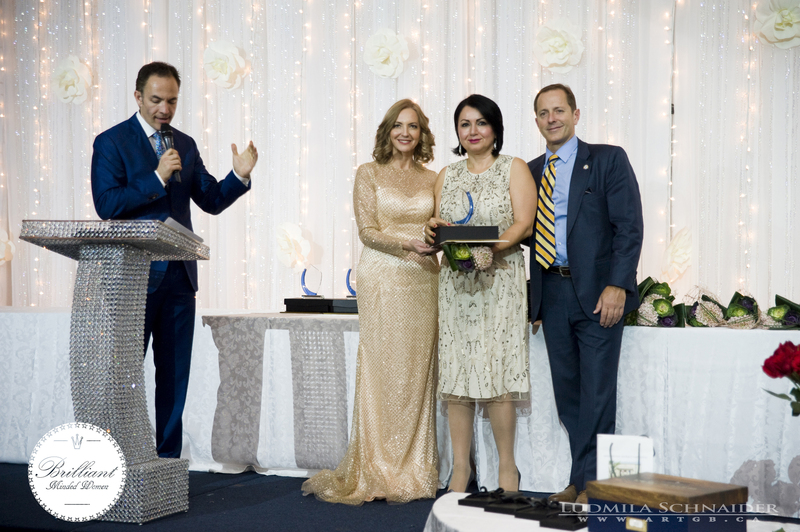 On November 17, 2017, in an elaborate fundraising gala organized by The Brilliant Minded Women Foundation, at Riviera Parc banquet hall in Concord, Tina Tehranchian, received an award for supporting the arts. (Life Time Achievement Award), Tracey Moore (Best Community Service Award), and Fran Rider (Global Excellence Award). The Brilliant Minded Women Foundation is a nonprofit organization whose primary focus is to advance post-secondary education by providing publicly available scholarships and bursaries to female students throughout Canada. In addition, the foundation provides coaching and mentorship to the selected students that receive our assistance. The scholarship program is designed to assist and recognize the achievements of women that are making a difference in their communities. These individuals have displayed a personal drive to pursue academic excellence, leadership and/or entrepreneurship. Receiving the Brilliant Minded Women Foundation’s award for supporting the arts, with Christopher Mei (MC), Agata Klimczak (Founder of the Brilliant Minded Women Foundation), and Honourable Jim Diodati, Mayor of Niagara Falls.